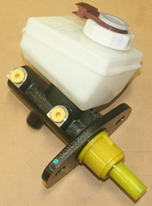 Description: Lucas TRW PML218 brake master cylinder. 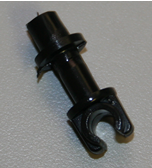 Supplied with fluid level sensor. 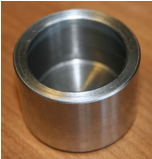 Approximate dimensions: bore diameter 25.4mm (1"), mounting hole centres 96mm (3.8"). 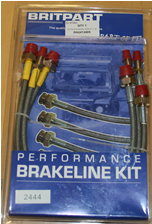 Application: ABS brake pressure reduction valve for Discovery Series I VIN MA081992. > Installation ready - no need for cleaning before use. > Anti-corrosion coating which provides a long lasting clean appearance, ideal for today’s open rims. 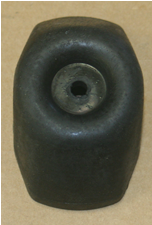 Application: Discovery I - Cross Drilled and Grooved. 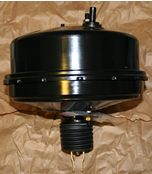 The Discovery is a heavy truck these superb high performance rotors will stop you quicker than plain rotors - upgrade your braking system today! Sold as a pair. Application: Discovery I - Cross Drilled and Grooved. 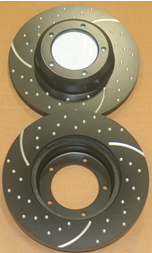 The Discovery is a heavy truck these superb high performance rotors will stop you quicker than plain rotors - upgrade your braking system today! Description: Complete set of pads for front axle, with rubber backing and chamfered edges to eliminate squeal. 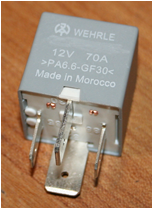 Superceded from SFP000210. 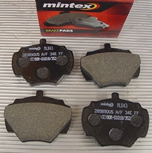 Same pads as used on Range Rover P38A. 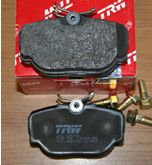 Application: North American Spec Discovery II rear brake pads from Lucas/TRW. Description: Complete set of pads for rear axle. Application: Discovery I front brakes with solid discs. 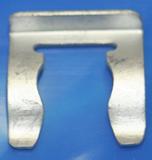 Where pads are retained by solid pins through holes in pads. 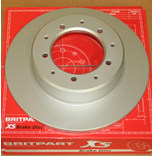 Application: Discovery front brakes with vented discs from approximately 1995. Where pads are retained by solid pins through holes in pads. 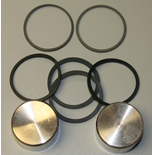 Description: Fitting kit of 4 Pins, 4 springs and 4 small split pins. Application: Discovery 1 front brakes with solid discs. Where pads are retained by solid pins through holes in pads. 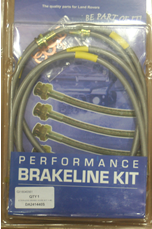 Description: Fitting kit of 4 springs and 4 small split pins. 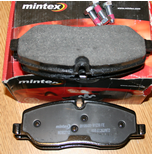 Application: Rear brake pads on Range Rover Classic 1972 to 1995, Discovery 1 1989 to 1998, Defender 90 1995 onwards. 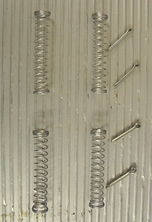 Description: Set of 4x split pins and 4x spring clips. 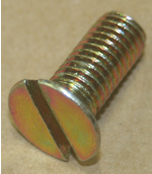 Approximate dimensions: split pins are 75mm (2.95") long and 3.5mm (0.14") in diameter.